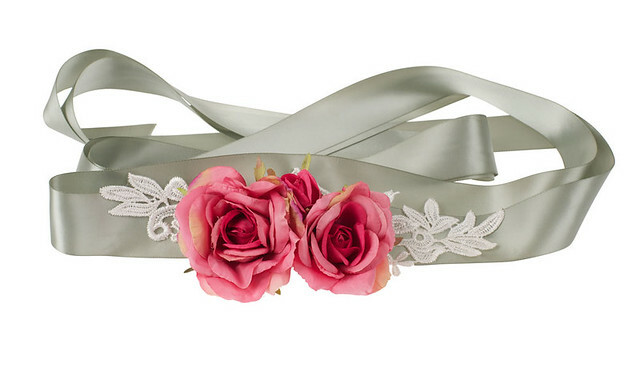 The stunning Rosa Belt is one of our all time favourite bridal belts. The soft ribbon, flowers, and applique all gently enhance your classic bridal look. Very on-trend and the olive is very 'Claire Pettibone' in style!